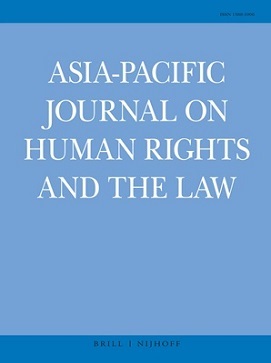 Gomez, James, and Robin Ramcharan (2014), Introduction: Democracy and Human Rights in Southeast Asia, in: Journal of Current Southeast Asian Affairs, 33, 3, 3–17. Southeast Asia has been undergoing a transition to more democratic forms of governance over the last two decades. The 2007 Charter of the Association of Southeast Asian Nations (ASEAN) stated that henceforth ASEAN would pursue democratic forms of governance, the rule of law and the attendant fundamental human rights, which are the hallmark of liberal democratic states. This major normative evolution is one chapter of ASEAN’s post-Cold War efforts to deepen its members’ interactions in the economic, politico-security and socio-cultural realms. ASEAN has been engaging in “community-building” in these areas. A community presupposes the development of common values among its member-states and among all of their citizens. 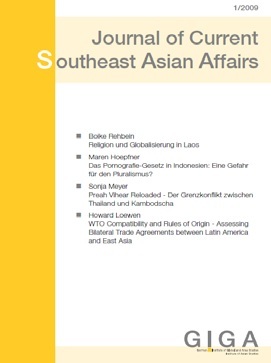 It has been argued by constructivist scholars, for example, that in the politico-security realm a security community has been forged via a diplomacy of accommodation, or the “ASEAN Way”, that respects the core principle of non-interference in the internal affairs of states. An ASEAN Economic Community (AEC) envisages a liberalised economic space through free trade and the creation of an integrated production platform. The new democracy and human rights order aims to create a more “people-centred” ASEAN.